SYRACUSE, N.Y. -- Michael M. Szwarc, among the State University of New York's most respected scientists, died Thursday, Aug. 3 in California. He was 91. Szwarc, who taught at the state College of Environmental Science and Forestry (ESF) for 27 years, founded new fields of polymer science and made possible a host of new functional materials with indispensable applications in advanced technology. Szwarc's discoveries also provided scientists and engineers worldwide with significant and unprecedented methods for designing and synthesizing polymer materials widely used in industries as diverse as electronics, medicine and communications. Born in Bedzin, Poland, in 1909, Szwarc's career took him throughout the world and won him international acclaim for his work. He received the first of his two earned doctoral degrees from Hebrew University, Jerusalem, in organic chemistry in 1945. In 1949 he received a Ph.D. in physical chemistry from the University of Manchester, England, which also conferred upon him the honorary doctor of science degree for his research on chemical bonds. His recruitment to the ESF faculty in 1952 by dean emeritus Edwin C. Jahn was a coup for the college, which was aggressively building its program in organic and physical chemistry. In 1956, State University of New York named Szwarc the first system-wide research professor. In 1964, Szwarc was among the first three scientists named to the prestigious rank of Distinguished Professor by the SUNY board of trustees. Szwarc was a Fellow of the Royal Society (of London), and received most of the major awards offered in the field of chemistry. In addition, he was named the 1968 Nobel Guest Professor by the Royal Swedish Academy of Sciences. He was awarded honorary doctorates by Uppsala University in Sweden, by Belgium's Louvein University and by Strasbourg's Université Louis Pasteur. He received the 1972 International Award of the Society of Plastics Engineers and the 1978 Howard N. Potts Medal by the Franklin Institute. In 1991 he was named a Kyoto Prize laureate in advanced technology by the Japanese Inamori Foundation. The Kyoto is the Asian equivalent of the Nobel Prize. It carries with it a recognition of humanitarian values and unsung research that contributes to the betterment of humans scientifically, culturally and spiritually. Szwarc shared the $300,000 prize with several former graduate students who worked with him on his pioneering research. Szwarc's discoveries founded new fields of polymer science. He first called attention to the possibility of producing vinyl polymers by the use of an electron transfer process. He suggested the application of this method to the formation of polymers of very narrow molecular weight distribution, which gave rise to a measurement process now in use by the National Bureau of Standards, and to the production of block co-polymers, making possible the manufacture of a wide variety of unique materials. His discovery of "living polymers" -- a chemical reaction that proceeds without termination -- paved the way for the development of polymers as functional materials that are indispensable for advanced technology. The Kyoto awards committee called this discovery and its contribution to and impact on the synthesis of new materials "beyond imagination." 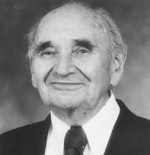 Following his retirement from ESF in 1979, Szwarc and his wife, Marysia, sought warmer climates, and he accepted a position at the University of California, San Diego, before moving to the University of Southern California in Los Angeles to continue his research at the Hydrocarbon Research Institute. Szwarc continued to work well into his 80s. He lived in Solana Beach, Calif. He is survived by his wife, Marysia Szwarc; son, Ralph Szwarc; daughters, Maeira Penchina and Rina Szwarc; five grandchildren; and six great-grandchildren.